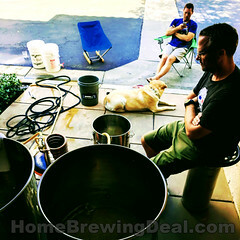 Coupon Code Description: Today at MoreBeer, you can save $30 when you purchase a new copper counter-flow home brewing wort chiller. 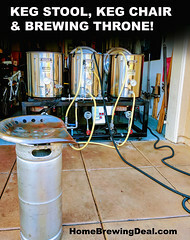 This is the same wort chiller that I use on my home brewing system and it works great. 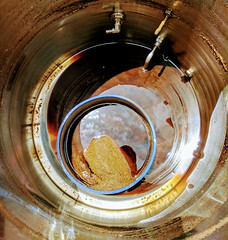 It is supper efficient at cooling wort and best of all, it never clogs unlike many plate chillers. It is also very easy to clean. This counter flow high quality homebrew wort chiller is made from 12 feet of 5/8 inch convoluted copper, which continually spins the wort as it flows through the pipe. The outer tube is made of 7/8 inch copper for added durability. 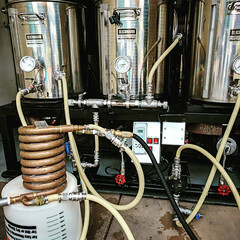 The wort chiller enables you to pump wort through the inner tube, while running cold water in the opposite direction in the outer tube, making the entire process quicker and more efficient than ever before. I am typically able to cool my boil to pitching temperature with this wort chiller in about 10 minutes.